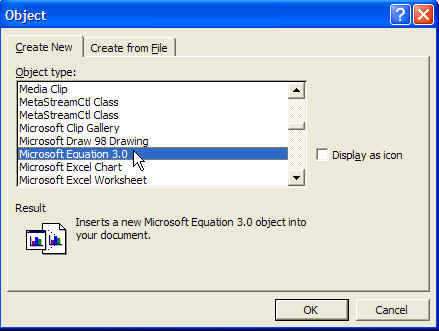 Microsoft Equation is a mathematical equation editor built into Microsoft Word. 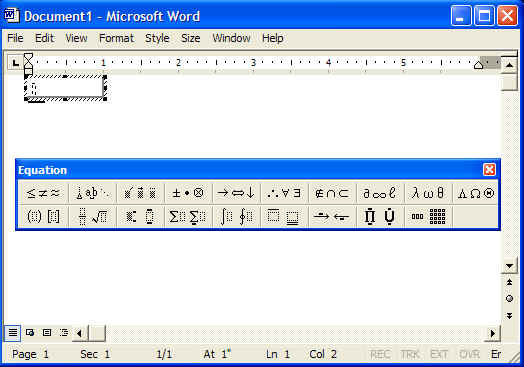 It is capable of producing quite professional looking mathematical equations that can be embedded in Word documents. Select Microsoft Equation, and click on the OK button. Note: The first time you do this, you may find that Word will ask you whether you wish to install that feature. See the Installation link to the top left of this page. If necessary, you can click and drag on the handles of the equation box (that surround where the equation will be placed) to increase its size, so you can read what you're typing in. 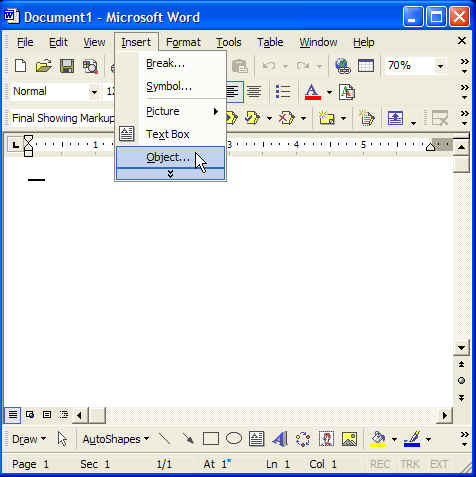 Make formatting selections from the Equation dialog box; type in the expressions directly. I found it relatively intuitive. Remember that, under the Style menu, you have a choice of Math or Text. Normally, you want to stay in Math style, but when you wish to insert some English text, select Text style for just that text, and then switch back to Math style. When you're done, exit from the Equation dialog box, and your equation should be in place within your document.